Are you considering breeding Labrador dogs? If so then you probably have a lot of questions you need answering. Many dog owners have a dog they love and think she is exactly what they want in a new puppy. She has a great personality, is excellent with children, easily trained, may be a fabulous field dog, and has had few or no serious medical problems. If they are going to get another dog, they want it to be as much like the one they already have as possible. They decide to breed their current pet, get a puppy from that litter, and sell the other puppies for a profit. In their minds this is the closest they can come to duplicating the dog they own. While this may seem logical, it would actually be better to repeat the breeding of their current dog's parents and take a puppy from that litter. Unfortunately, this is not always possible. Before you decide that you are going to breed your pet, you should know that most first time breeders lose money, and there is a tremendous amount of time and work involved in breeding your pet. There are also ethical issues to consider, such as ensuring you are not passing on bad genetic/hereditary traits such as hip dysplasia or eye problems. The testing that should be done on all dogs to be bred can be expensive. If you have the female dog, breeding a litter at home can be a great experience for the first time breeder or it can be a disaster. It is usually a lot of fun for the entire family to watch new puppies come into the world and grow, and enjoy and play with them for hours and hours. In the end, some profit may be shown when the remaining littermates go to their new homes at 7 to 8 weeks of age. However, some pregnancies, births, and new puppies may be accompanied by various medical problems or emergencies. Not all pregnancies result in a happy, healthy litter. Whether you own the female or male, if you do it correctly there will be expenses even before the breeding occurs. We never recommend breeding dogs before they are 24 months of age. 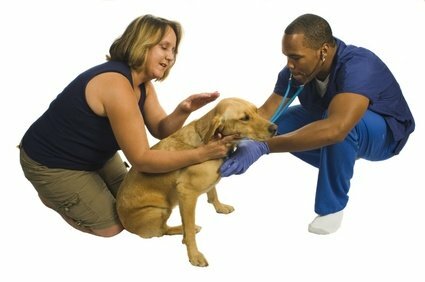 It takes at least that long to determine if the animal has any significant health or behavior problems. Regretfully some health problems do not show up until the animal is even older. The animals should be examined by a veterinarian to see if they are carrying any significant medical disorders that can be passed on to the future litter. Certain laboratory tests should be performed (this is discussed in more detail later). We are not just saying this because we are veterinarians trying to drive more business to our doors. If you are going to breed a litter, it is your responsibility to insure to all the future owners that the puppy they pay for is and will be as healthy as possible. Think how you will feel when the owners and their children find out that their pet has a disease that will limit its life or may cost more than they could afford to treat or correct the condition. Please believe us, this frequently occurs. To use a very, very common example, let us assume you mate two young dogs of the same breed. They seem healthy, have great personalities, and have been easy to train. The puppies are born, all goes well and at 7 weeks every pup goes to a new home. Unfortunately, in about 8 to 15 months the calls begin to come in from the new families that their pups have started showing a painful lameness in their hind quarters. 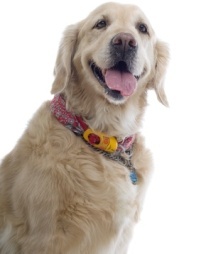 Through radiographs, their veterinarians have diagnosed hip dysplasia. Briefly, this is a genetically transmitted disease that usually results in severe and painful degenerative arthritis developing in the hip joints of dogs. Most cases can be treated through medical or surgical means, but the animals may never be able to act normally, do what they were purchased for, and should never be bred. Additionally, these treatments will probably be expensive and there is no guarantee they will work. So what are you going to do? What are your responsibilities? You bred the puppies, you took your customers’ money, and told them how great the parents were. You never lied. You just did not know what you were doing. Now several other families have to deal with a problem that could have been avoided. If you only have one dog to breed and now you know that it is carrying the disease, you cannot give them another puppy from a future breeding labrador. Are you prepared to give them their money back? Are you willing to help with the medical bills they are going to incur if they decide to try treatment? As veterinarians, we have been involved in scenarios just like this hundreds of times. Do not breed your dog unless you honestly believe it is really something special. Wait until it is at least 24 months of age. By that age, you and your veterinarian will have a better chance of recognizing any serious behavioral or medical problems. Before breeding labrador, take your dog to your veterinarian to have a thorough examination and blood tests for venereal diseases. Also, additional tests will be performed and may include, but are not limited to, x-rays and certification of acceptable hips and eye exams. The dog should be brought up-to-date on all vaccinations and wormed if necessary. If your veterinarian sees any problem that might foreclude breeding, he or she will discuss them with you. Remember, this should be done with both prospective parents. A dog that has been bred several times and seems to be producing healthy dogs could still be carrying problems which never came forward only because of who it was bred to in the past. If you are going to mate your dog with someone else's, make sure both are checked for venereal diseases, breeding soundness, and certified free of things like hip dysplasia. There are a few last questions you need to answer before you breed your own pet. If you cannot sell or in some way find good homes for the rest of the puppies, what will you do with them? If there are four remaining pups, it is the rare family that can absorb them into their home. What are your choices? In case it enters your mind, remember that most puppies delivered to a humane society do not find homes. Rather they are euthanized after 7 to 10 days due to economics and lack of space. For most people, that thought is an extreme burden for their conscience. When you have been through all of the research, work, time, and expenses of breeding labrador, you will understand why good breeders charge what they do for their puppies and why they are so careful about the homes they end up in. While breeding labrador can be fun and an educational experience, it is definitely not a decision to be taken lightly. © 2008 Drs. Foster and Smith, Inc.